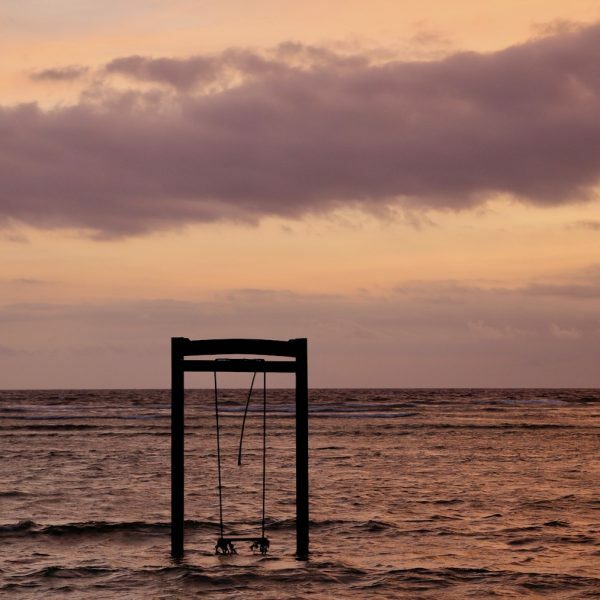 So, you’ve come to Bali for the quintessential Eat, Pray, Love experience. You’ve done a photoshoot at the picturesque Tegalalang Rice Terraces, you’ve had something stolen by the agile primates of the monkey forest, and maybe you’ve even contracted a little “Bali Belly.” Though you’re probably starting to feel better now that you’ve enjoyed copious amounts of Mie Goreng or Acai bowls (whatever floats your boat). But, you’re still looking for that unique and off the beaten path experience! Well, I have the place for you to visit, the Ceningan Channel, home to some gorgeous coral walls and the underwater Buddha. 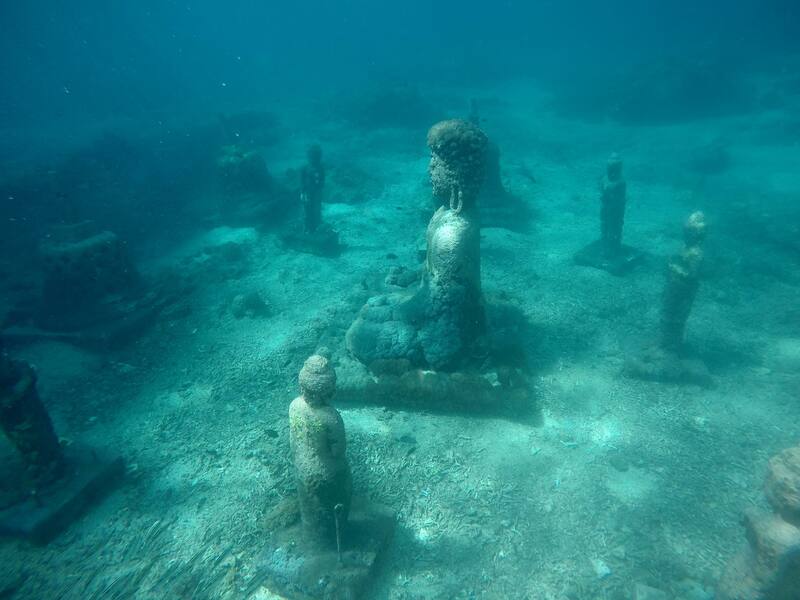 The underwater Buddha, stupas, as well as smaller statues of Ceningan are a sight to behold. Now, before a second internet rumour begins, this is basically a submerged art exhibit and maybe a conservation project. I’ll get to the background of this location and the potential inspiration for it in Pemuteran a little later. But, first I think I have to explain how invigorating it was to skindive next to these beautiful statues. A few weeks ago, I saw an image of some divers and snorkelers in front of an underwater Buddha. It was so intriguing and unique, I just knew I had to go there. Underwater ruins aren’t terribly common and when I discovered how close it was to the next island I planned to visit, it seemed like a given that I’d go for a dive there. Many internet commentators said the Buddha was near Bali, then a few others claimed it could be seen on a drift dive of the Ceningan Wall. Turns out it’s in the much shallower and more accessible Ceningan Channel. I have to admit, getting here wasn’t the easiest task from the island of Nusa Lembongan (30-40 minute speedboat ride from Sanur in Bali). Many of the locals were confused when I asked to go see the underwater Buddha in Ceningan. Most tourists come to Lembongan to swim, dive or snorkel with the manta rays. Having seen mantas in Hawaii and Derawan (both times were very recent) I wanted a different experience. 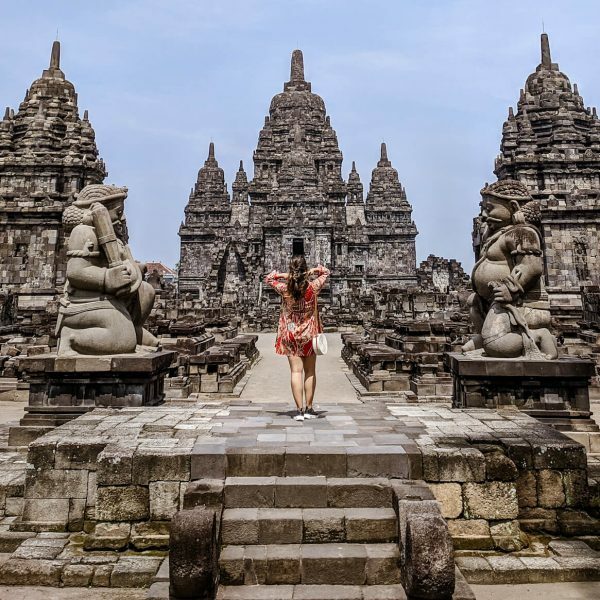 Over the course of my first few days in Bali, I showed photographs of the Buddha to people in restaurants and homestays, as well as a local guide I had met in the hope of finding someone who knew the location and would take me. Finally, the guide introduced me to a spear fisher who happened to go past this location weekly. His uncle then agreed to help me get there! After doing a little more research and learning it’s not an ancient site, I finally understood why people were so confused. This isn’t a sacred place that has been around for generations and would be known to inhabitants of Lembongan or Ceningan. Now more well known by name, the Pemuteran Temple Garden was actually built by Captain Paul M. Turley, Chris Brown, as well as a number of other local businesses and artists. I should note, I’m not sure if this place in Ceningan Channel is an imitation of that or a second conservation installation by Turley, Brown etc. But, regardless of when these statues were sunk, the site is still very beautiful and worth a visit if you are in this area. For people who like tours and groups, there’s now an organized snorkel or underwater scooter tour: The day tour costs $95 USD or Rp.1.330.000. But, I would encourage people to use a local guide who can take them to the area for a less crowded and more relaxed underwater experience! 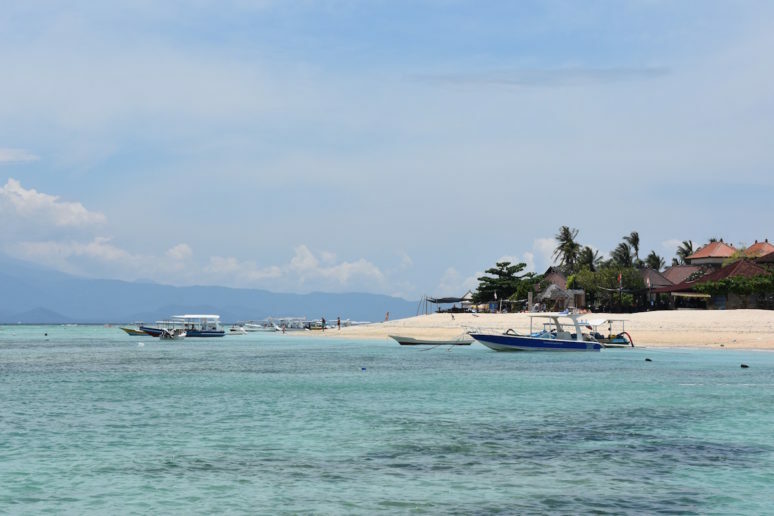 This is something you could easily combine with other snorkeling destinations in the area. You won’t be disappointed as you’ll have the chance to snorkel with a beautiful manmade 2.5-meter-tall (8.2 ft) statue of Buddha in the middle of several stupas! The Buddha is facing North and is located at the entrance to the Ceningan channel. To arrive here I took a small local boat departing from the mangrove forest on Lembongan Island. 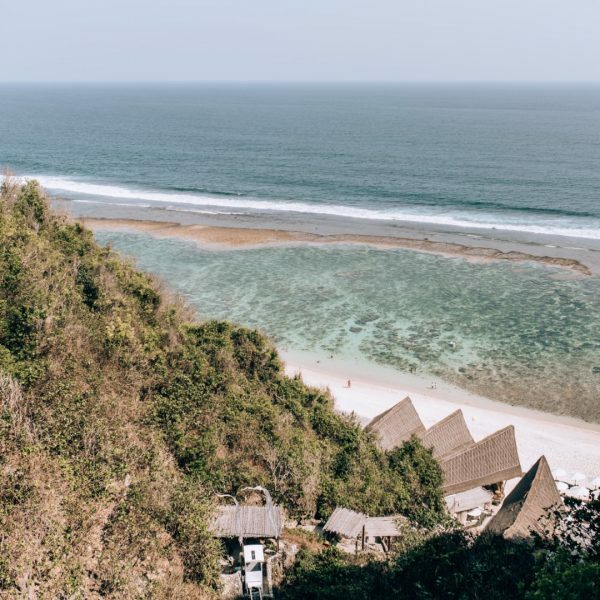 For more information on price points and tours you can contact Hendra Sakti (sakti_tour@yahoo.com, IG @sakti_tour) who resides on Bali, but regularly travels from there to Lembongan. Or reach out to Wayan Nane (IG @nanewayan). Coming from the Mangrove Center on Nusa Lembongan one would enter the channel between Lembongan and Ceningan, it is near the end of the Ceningan Island on the north end. I’d highly advise against trying to swim into the channel independently as there are many boats, also it can be quite rough. So, hire a local guide with a boat and they can help you get right up to the underwater buddha. If you’d like to depart from Ceningan, you must simply cross the bridge from Lembongan and turn left then head to the north end of the island. Do you have other tips on how to get to these Underwater Buddhas in Bali? Please ask questions or share your own tips with our readers in the comments below! I read about these underwater statues after I left Bali. I wish I could have experienced this on my trip! Looks so awesome! Maybe on your next trip Laura! Go again Laura..such an easy fix! ? Been in Ceningan more than 10 years ago, and still no activity for this one. Should try it next time when visiting Bali. We are in Bali now and excited to go and see this for ourselves! 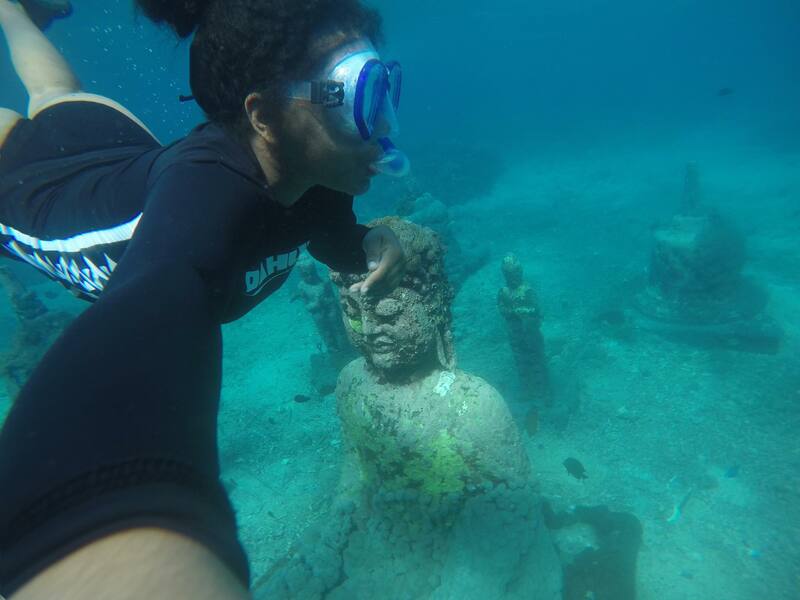 My friend and I checked out the underwater buddah’s – SO cool! Thats awesome – let us know if you have any other advice for how to find it for our readers! They have something similar like this near Cancun, Mexico. The purpose for these “underwater gardens” is to help rejuvenate the coral. Awesome that this Buddha exists as I am planning a trip to Bali in 2017 and would definitely love to check this out! Thats a great insight Ray! Enjoy Bali, its such a wonderful place and some great dive spots! My 13-year old and I just did a private snorkelling day with Newbro out of Nusa Lembongan last week. We wanted to swim with Mantas, as we never had before. Beyond that, I just said we wanted to do things where there wouldn’t be a crowd of people – the underwater Buddha was amazing! 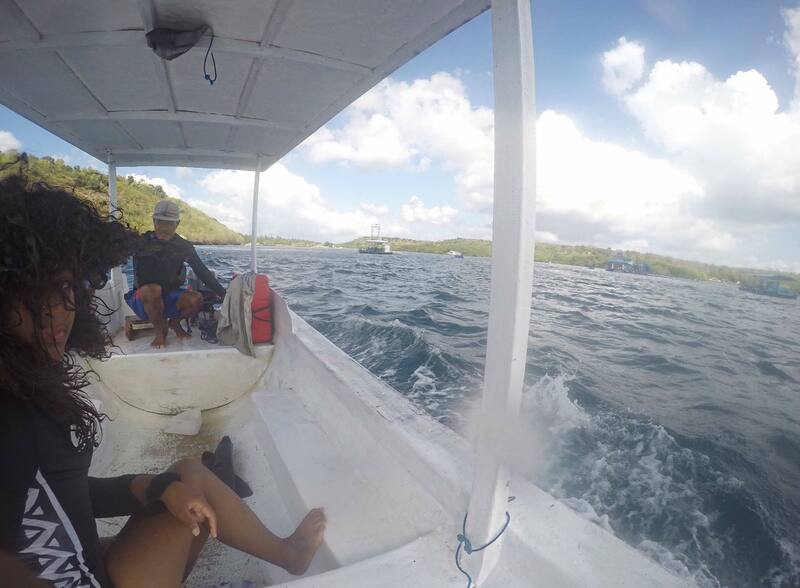 And I totally recommend Newbro as a guide for any snorkelling you might want to do out of Lembongan! Do you by chance have the contact information for your guide Newbro or know where to find him? I will be going to the Nusa islands in July and would love to experience the swim with mantas and the underwater Buddha! Thanks so much for sharing! I am going to Bali in a couple months and would like to spend some time one Nusa Lembongan, Ceningan and Penida. Would you be able to share your contact information for your guide that took you to see the underwater Buddha and any other great dive sites? I would love to go see this for myself. Hi Becky, thanks so much for her info. Look forward to checking it out! Thank you for the post. Really excited for you how you take on the random I-am-gonna-find-my-place-either-way experience. Well done girls! I’m going snorkelling tomorrow. One of the stops is Budda Bay. After reading this article I’m very excited to go! Anyone knows how I can find newbro? Contact or something? I will be in lembongan and penida… someone knows from where I should reach the underwater Buddha garden? From penida or lembongan? Thanks so much for all the infos. God bless you all 🙂 ?? Hi, I’m going to Bali now in March. 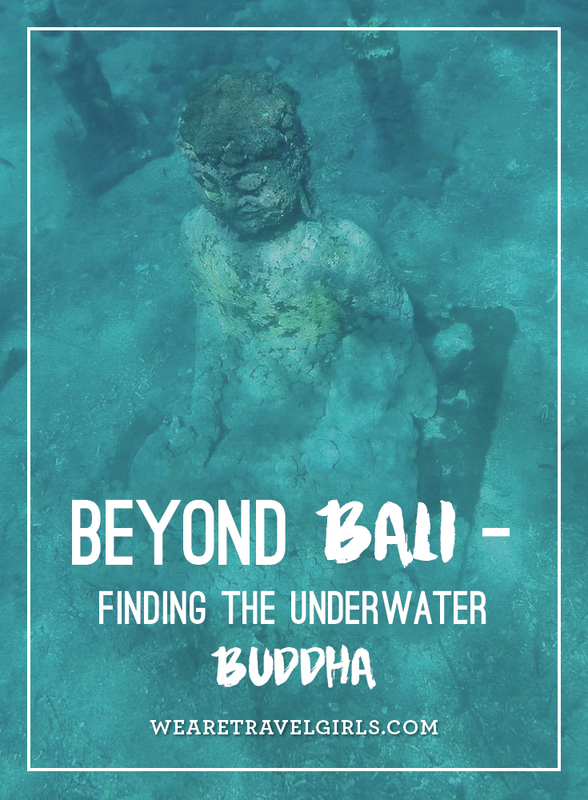 Do you know if you could go from Bali to this underwater Buddha as like a day trip or not really? Sorry if that’s a stupid question. I spent the New Year Eve in Bali and I took the tour with Hendra Sakti (sakti_tour@yahoo.com, IG @sakti_tour) for Buddha temple garden. It was amazing. Thank you so much for your information. Hi! So their are buddahs in Ceningan channel but also in Pemuteran, is that correct? Great info btw! I’m so confused, maybe you can clear that up for me. 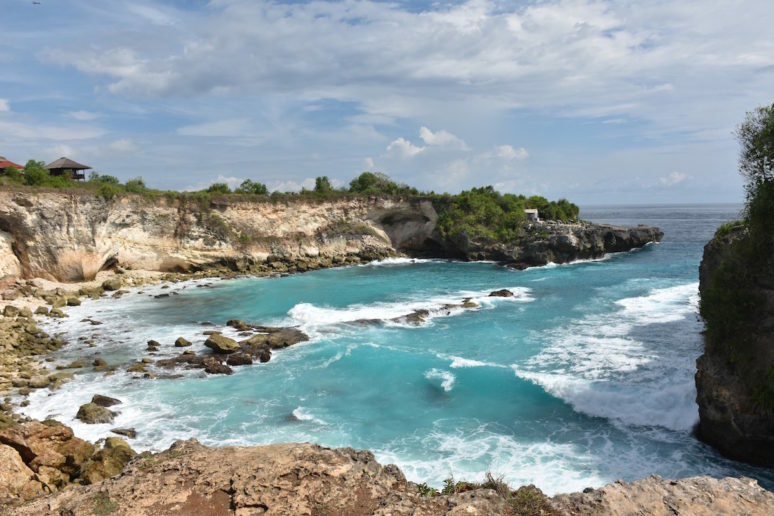 Nusa Lembongan is an Island southeast of Bali while Pemuteran is at the north shore of Bali. Wouldn’t it make more sense to start from Pemuteran Beach instead of Nusa Lembongan and going all around Bali? Or is there a second Pemuteran? Everyone, I’m in Nusa Lembongan right now I’ve been here an hour and already arranged a dive… It’s simple! Either use your accommodation to book snorkeling at the mangroves and for a bit extra. Money they will visit the Buddha too. I paid 150k for mangrove snorkeling and 60k extra for Buddhas. Or your second option is head to Ceningan Channel diving spot (Google map it) and from there you can arrange a Buddha dive with anyone. At the beach, the shops, hotels etc. Also I have a map of the exact location of the Buddhas to show local guides if you need. OK guys I’m back… Change of plan, its simple to get a dive to where it used to be! (the locals call it temple point) however, the Buddhas have now been brought to shore (end of Aug 18) the Buddhas actually had no ancient origin, they were laid there around 12 years ago by local businessmen, hotel owners, fishermen and other locals as a coral / habitat restoration project and also to gain publicity. Anyway… There is still a small hope! There is one singular underwater Buddha statue left. It is located at Mangrove point dive spot (Google map it) all companies will take you there, its a magical, colourful place almost comparable to swimming in a tropical fish tank, and here is the last lonely Buddha 🙂 Good luck and happy hunting everyone! !